You can turn on the electronic worksheet setting for a class. Save some trees! 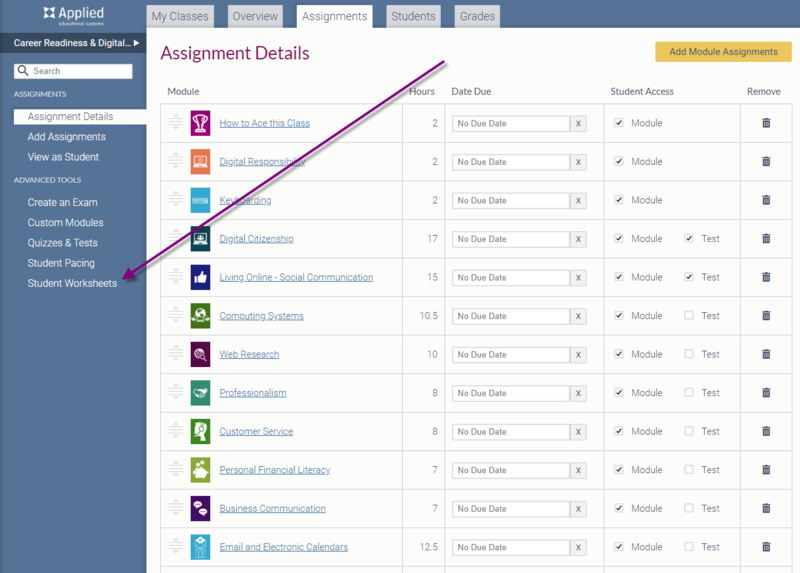 On the Assignments tab for each class, there is a box you can check to turn on the worksheets. NOTE: You must turn on this setting separately for each course. On the My Classes tab, choose a class. On the left, click Student Worksheets. 4. Check the Use electronic worksheets box. When the electronic worksheets have been turned on, they will take the place of the paper (PDF) version. Both the PDF and e-worksheets contain the same content so they can work interchangeably based on the situation of your classroom.